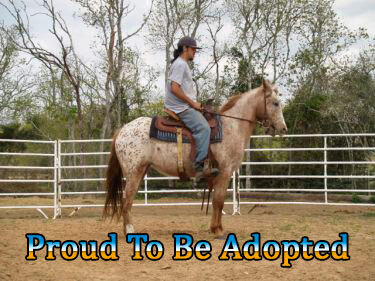 Evangeline is a beautiful appaloosa mare with a very calm and gentle manner about her. 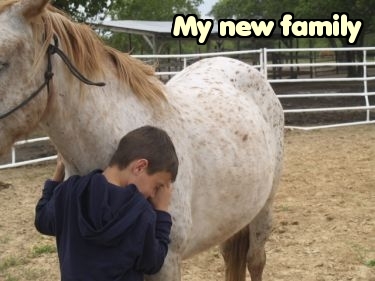 She does very well in a pasture setting with geldings and mares alike and would also thrive in a boarding situation where she could have her very own stall in the evenings. She is easy to catch, halter and lead. 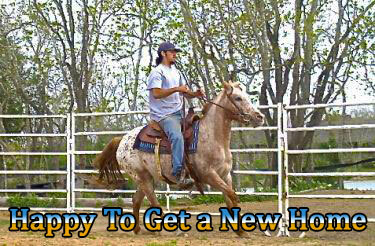 Stands quietly while being saddled and is great with children and lighter weight adults. 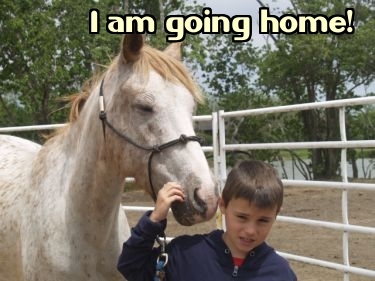 She seems to relish in the affection she receives at the ranch from staff and volunteers alike, and becomes more settled with receiving positive, loving attention with each passing day. 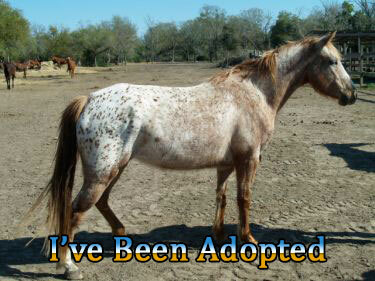 Evangeline is hoping for a forever home filled with laughter, love happiness.